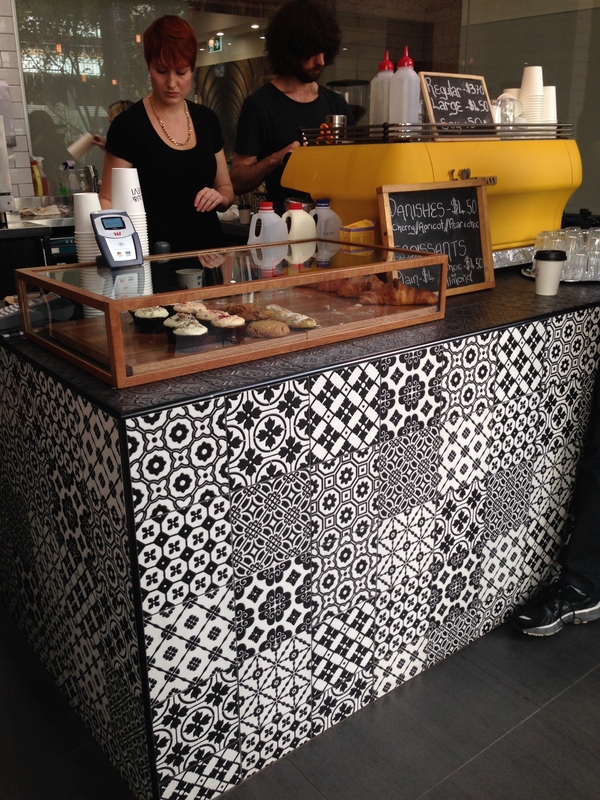 i stumbled on this ‘hole in the wall’ a couple of weeks ago and absolutely loved the coffee! 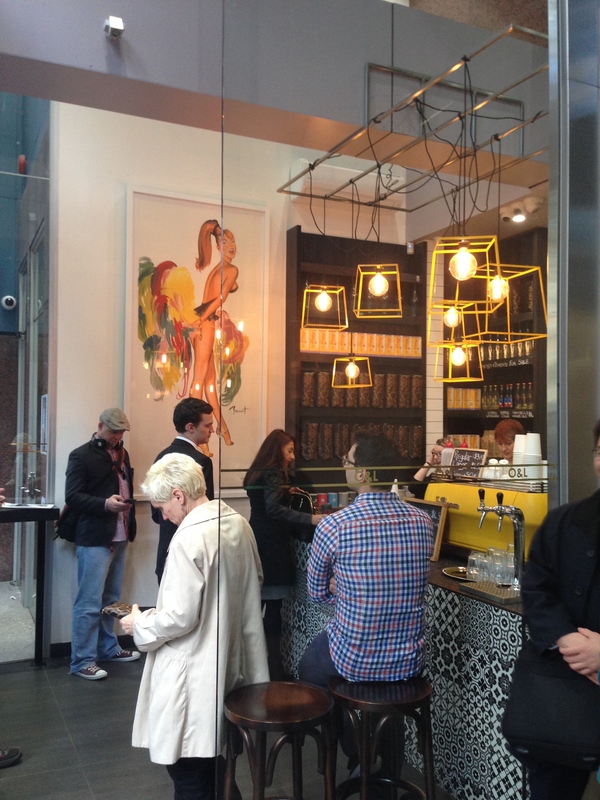 the small space is tucked into collins st in between william street and gurners lane. these guys also have another storefront down a funky melbourne lane way at coromandel place (which i am yet to try). i love the hanging lights and the huge artwork as you walk in and (as you’ll see below) the tiles on the front counter are to die for. let me set some expectations… this is not a sit down, relax + enjoy your 2 hour morning breakfast kind of place. this is a ‘shoot, i have ten minutes before my first meeting + i have no caffeine in me yet’. 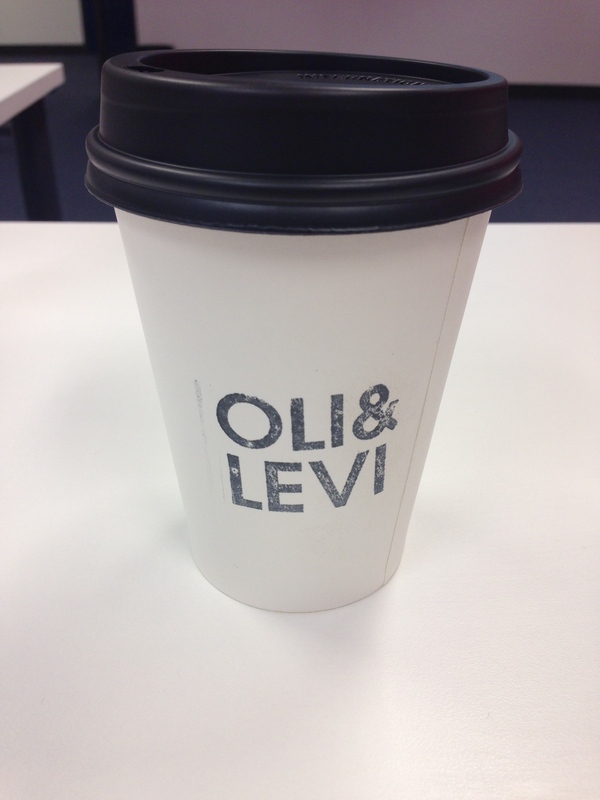 you can grab a pastry or muffin or two, but its the coffee you’re after. there is single origin available, they use organic milk + the taste is great. strong, flavoursome and smooth. staff are friendly, efficient and appear to know the regulars by name – i love that! if you’re looking for a new weekday everyday to satisfy your caffeine craving during work – make this yours.